Katy Oswald is a designer, creative director and a Lecturer on BA (Hons) Graphic Branding and Identity at London College of Communication. 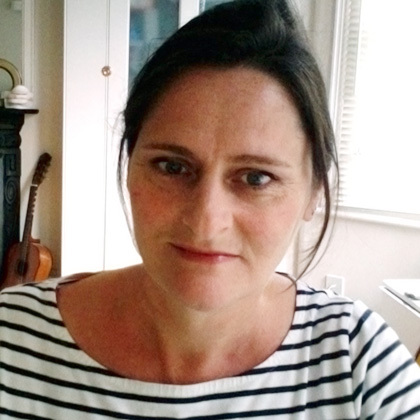 A graduate of Chelsea College of Arts, Katy has over 20 years’ experience as creative director of a design consultancy specialising in branding and packaging design – designing and developing the brand identities of accounts such as Burberry, Alfred Dunhill and Gieves and Hawkes. Katy also has experience of working in packaging design, surface graphic and physical packaging – designing paper and board constructions using environmentally-sourced materials and working on the development of patented paper and board constructions. Katy has worked as an Associate Lecturer at LCC since 2010, also assisting as a freelance design consultant across a number of courses at the College. Katy aims to use her industry experience to align students’ creativity with the current and future industry requirements and practice.